1. Log into your account as an admin. 2. 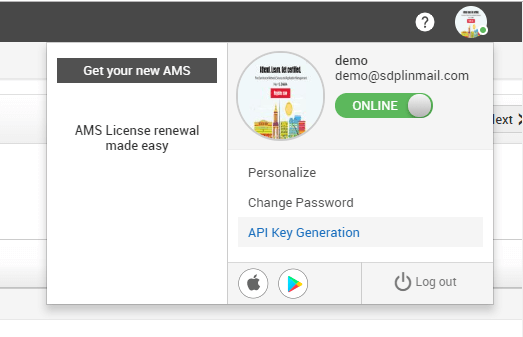 Click on the profile image and then click on API Key Generation. 3. In the new window that opens, go to API Key Generation and regenerate your key. 1. Go to Admin tab in ServiceDesk Plus. 2. Under Users, select Technician. 3. Find the Technician on the list and click Edit. 4. In the bottom of the form, you will find API key details. 5. 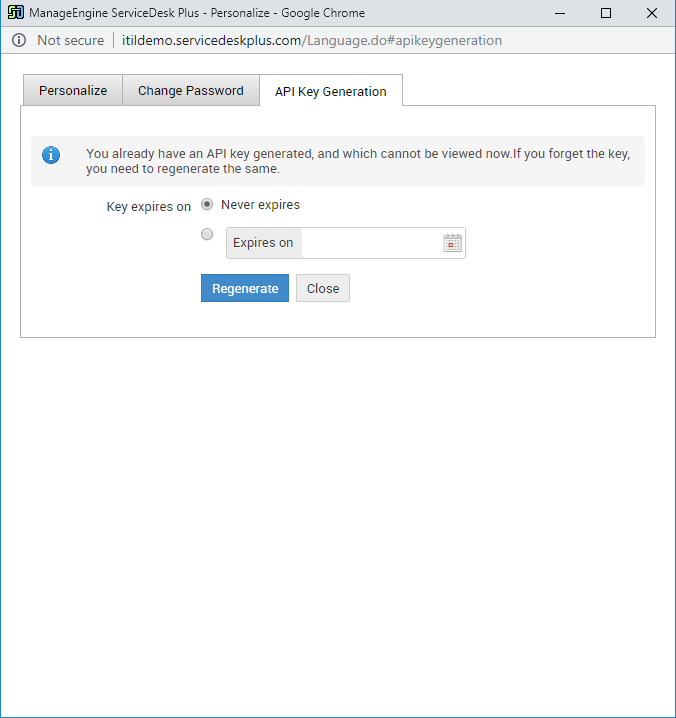 Click Generate/Regenerate to generate the Authentication Key. 6. Copy the key and click Save. 7. 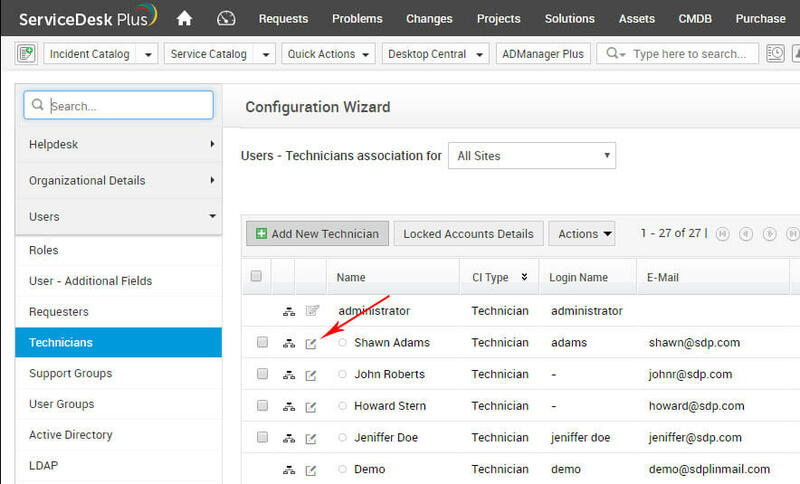 Paste the key into Migration Wizard and continue setting up the migration.